As the Grand Gates open to Whispering Rose Ranch, guests instantly feel the need to ditch the car wheel and grab the reigns of the next horse they see. The drive way is lined with well groomed, proud standing trees. As you look to the ranch’s hill you catch a glimpse of the owner’s house sitting peacefully. Approaching this home, deer and other wildlife bounce naturally in and out of foliage, this is their home too. The property contains a quiet side house for brides to prepare themselves to perfection. The groom’s room consists of historical cowboy antiques, a pool table, and a classic western style bar. During this shoot we journeyed around the massive property to capture the character of Whispering Rose. We made use of almost everything the property had to offer to us. After first seeing this ranch it was clear we needed to expose its dark romance. We captured this by introducing dark accent colors to the decor and mirrored the maroon on the brides lips. The dress was chosen for its ethereal qualities and ability to conquer photographs. We brought in touches of gold, large floral arrangements, and an over-sized sweetheart chair to glam up the feasting table. 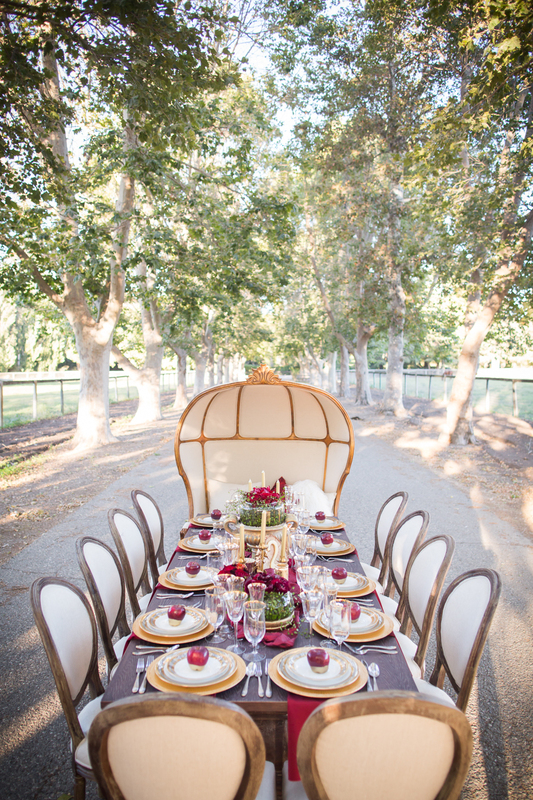 The raw wood table was effortlessly nestled right in between two rows of trees. Wide frames were used for the photography to be able to capture the broad organic settings we chose to shoot. 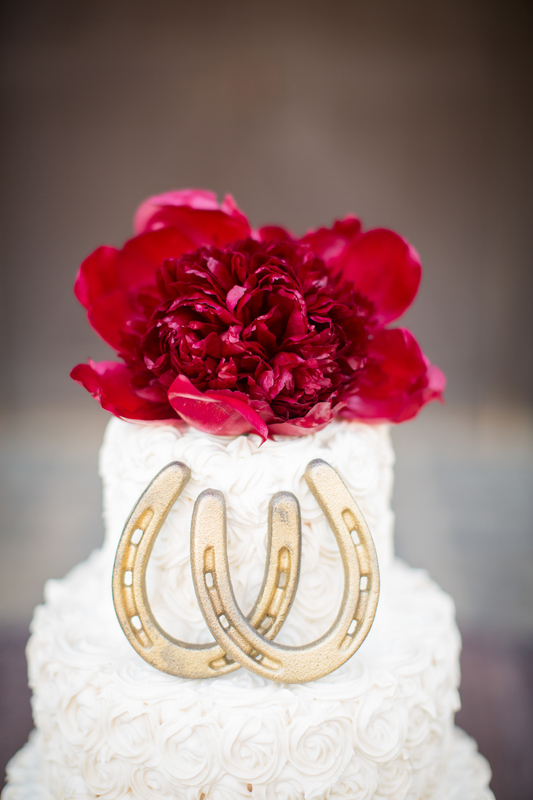 Whispering Rose is a remarkable venue for a ranch style wedding but with a little bit of inspiration can be made into any bride’s ideal vision.